“What was that thing I was supposed to remember? What’s that word, it’s at the tip of my tongue! I feel like I’m just not as sharp as I should be.” All these complaints are common and especially prevalent as the years roll on. 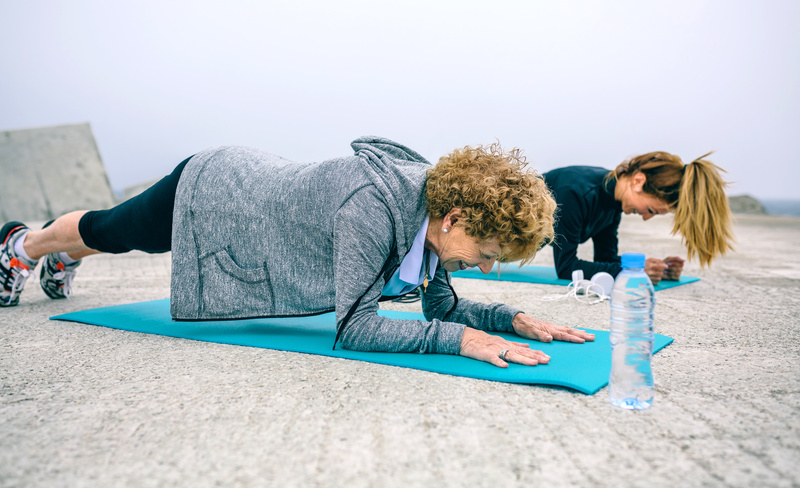 Exercise is an excellent way to pre-empt or halt this decline, and exercise at home may be the practice you’ve been craving to bring together the sustainable lifestyle of health you’re looking for. Curious About In-Home Training but Don’t Want to Commit? Click Here and We’ll Schedule a Complimentary Workout for You! By age 60, more than 50% of Americans have concerns about their memory (1). Aerobic exercise has been shown to increase the size of the hippocampus in the brain, the center that controls verbal memory and learning (2). In an article from Harvard Health Publishing, Joyce Gomes-Osman, Ph.D., PT writes, “the verdict is still out on an ideal exercise ‘dose’ for brain health, because in short, it’s complicated. The long answer is that we are still learning about all the ways in which exercise changes our biology, since not all exercise is created equal, and of course it ultimately depends on who we are, for we are all different. The best exercise program for one person may be quite different from the best one for another” (3). By age 60, more than 50% of Americans have concerns about their memory (1). Aerobic exercise specifically has been shown to increase the size of the hippocampus in the brain, the center that controls verbal memory and learning (2). In an article from Harvard Health Publishing, Joyce Gomes-Osman, PhD, PT writes, “the verdict is still out on an ideal exercise ‘dose’ for brain health, because in short, it’s complicated. The long answer is that we are still learning about all the ways in which exercise changes our biology, since not all exercise is created equal, and of course it ultimately depends on who we are, for we are all different. The best exercise program for one person may be quite different from the best one for another” (3). “Physical exercise interventions significantly improved cognitive function in adults older than 50 years, regardless of baseline cognitive status. Positive benefits to cognition occurred with an exercise intervention that included tai chi, or resistance and aerobic training, prescribed either in isolation or combined. When exercise training variables were considered, interventions that included exercise with a minimum duration of 45 min and at moderate to vigorous intensity showed improvements to cognitive function” (4). So now that you know it’s a good idea to exercise regularly, how do you do it? Walk down the health aisle in a bookstore or library (or peruse the Amazon category), and you’ll quickly see that few can agree on how to reach that elusive state of wellness. A professional personal trainer will get to understand your needs and how their training program and coaching strategies will interact with your unique physiology, medical history, and lifestyle preferences. Just as a doctor should understand your complete medical history, side effects, and drug to drug interactions before prescribing medication, so should a personal trainer understand the physiological and neurological impacts of the training program they prescribe for you and coach you through. Golden Home Fitness takes this a step further: founded by Dr. Bill Thorpe, previously trained as an MD, we take into account all of this information and match you with a professional personal trainer who specializes in meeting the needs that you have, at your convenience in-home. Want to Get Moving but Don’t Know Where to Start? Click Here and We’ll Set up a Complimentary Workout for You to Get Started! Want a comprehensive guide on why to exercise at home, with specifically how to make the most out of your time, with specific programs for what to do? Download your complimentary copy or our eBook, The Ultimate Guide to Home Workouts, by filling out the form below!